Flight Training Alliance's first full-flight simulator for Bombardier's all-new C Series aircraft was unveiled during an inauguration held in Frankfurt, Germany. Approximately two years after the founding of the joint venture between CAE and Lufthansa Flight Training, initial training on the most recent Bombardier aircraft family will take place at the Lufthansa Flight Training Center Frankfurt. Flight Training Alliance (FTA) is Bombardier's sole Approved Training Provider (ATP) for the C Series aircraft and, as such, is the only provider of training solutions for this type of aircraft besides the manufacturer. "We are very proud of the fact that with the launch of the simulator, Flight Training Alliance is making excellent progress," said Rainer Hiltebrand, Lufthansa Flight Training CEO. "This joint venture is the first project of this size for Lufthansa Flight Training, and we are pleased that this collaboration has developed so successfully for both partners. I would sincerely like to thank everyone involved." "We congratulate the teams of Flight Training Alliance on this auspicious milestone and recognize their hard work and commitment to collaborating with us on the C Series aircraft training program," said Todd Young, Vice President and General Manager, Customer Services, Bombardier Commercial Aircraft. "The full-flight simulator is well positioned to help meet the training requirements of C Series aircraft operators in Europe and beyond." 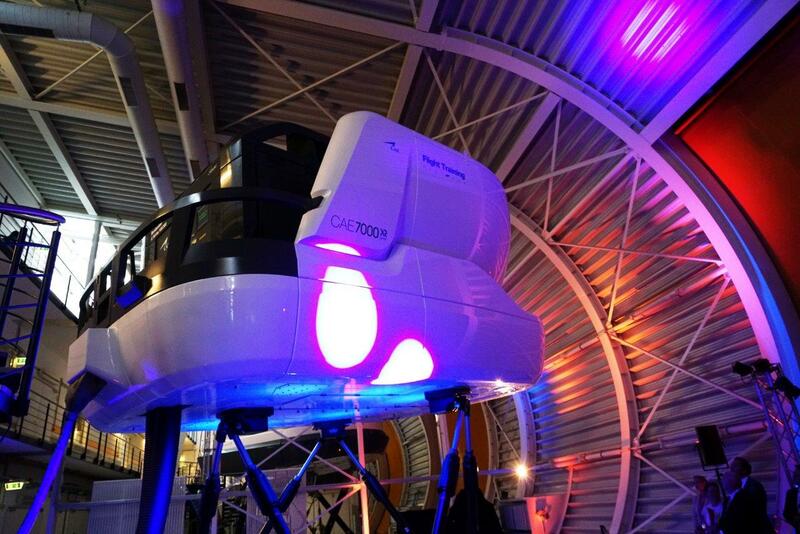 The CAE-built simulator is the third of its kind worldwide. It contains a newly designed Instructor Operator Station (IOS) that is equipped with two 16:9 monitors. Bombardier's C Series aircraft differs from other types of aircraft, as all flight control systems are operated completely electrically. This means that the new FTA simulator, which is an exact replica of the actual cockpit, requires fewer mechanical components and is more reliable from a technical standpoint. The new device received EASA Level C approval on 18 August 2016. Level D approval is expected in summer 2017. The first crew to perform its training in FTA's new simulator is from Air Baltic. FTA brings together technological expertise, experience in flight operations, and the global reach of two leading training companies: "We are proud of our joint venture and truly value the excellent collaboration between CAE and LFT," said Nick Leontidis, CAE Group President, Civil Aviation Training Solutions. "We are looking forward to a successful future providing best-in-class training to C Series aircraft operators." FTA works closely with Bombardier, thus ensuring that the training it provides is perfectly tailored to the needs of operators of the C Series aircraft. This also guarantees that all of its training programs are on a par with the respective level of aircraft development. Bombardier andC Series are trademarks of Bombardier Inc. or its subsidiaries.